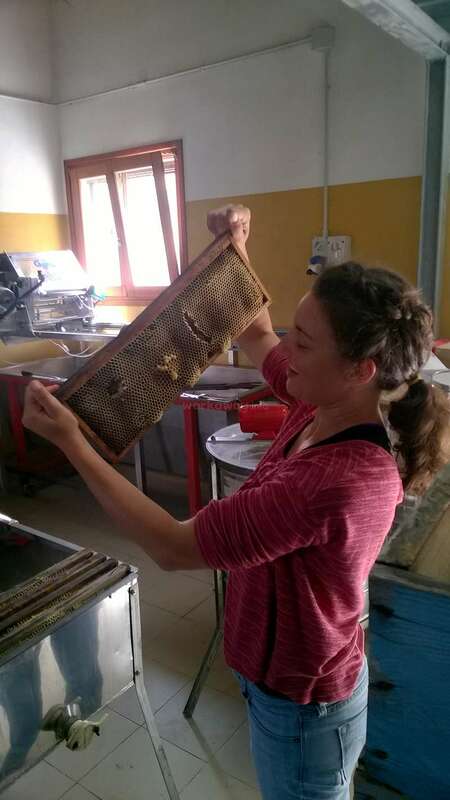 Volunteer with bees in Ales, Sardinia. 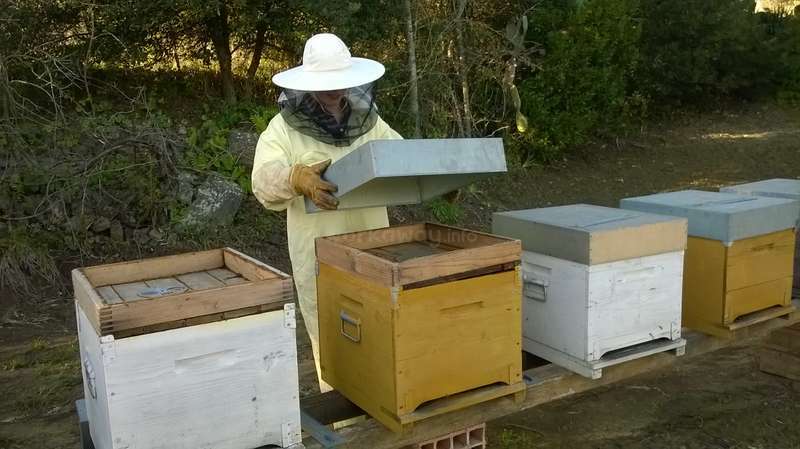 In 1977 I inherited and have run this traditional bee farm which was started in 1917 by my maternal grandmother who introduced moveable beehives (one of the first to do so in Sardegna). I have three apiaries in the countryside and the wildflowers and rare endemic plants of this area make it an ideal place to keep bees. 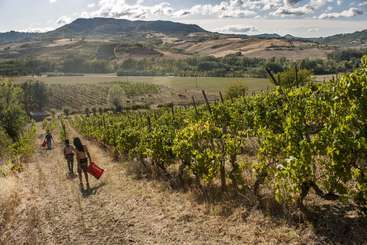 The area of Monte Arci, near the west coast of Sardinia, is of the highest quality environmentally and historically. It is part of Parco Geominerario della Sardegna and is poised to become the first natural park on the island. As an environmentally friendly activity our beekeeping is of the highest standard. 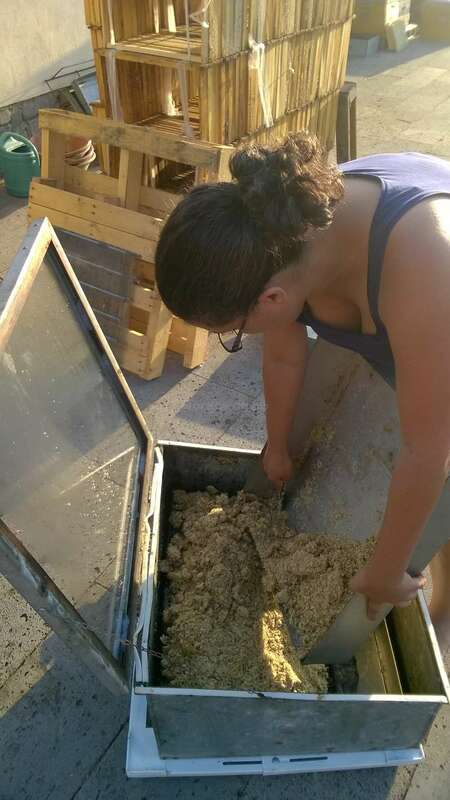 I work the hives and farm organically (certified) and my ‘Mieleria’, powered by a photovoltaic system is built in the traditional clay bricks used in Sardinia. 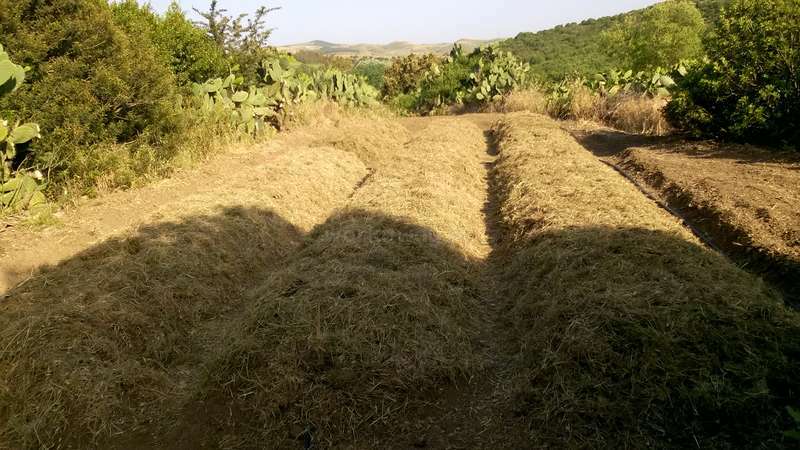 In addition to the bees, we have, distributed in several plots around the farm, an orchard consisting mainly of olive, apple, almond and pear trees. I can only accommodate one person at a time, in the Mieleria. meals tend to be vegetarian. "worldly" thanks to the work of many associations. 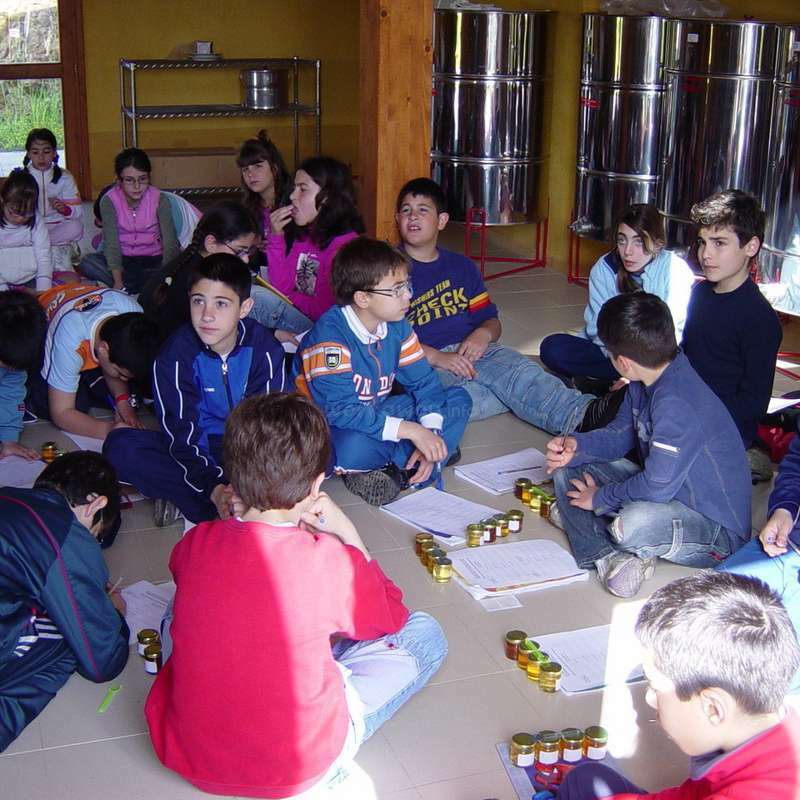 Ales has, among other things, an extraordinary museum of sacred art, a museum of traditional toy, a beautiful modern square and a library dedicated to Antonio Gramsci. Arborea is just 36 km. This has been my very first experience with Workaway and I couldn't have asked for anything better. I have learned much from Luigi, who was very patient with what little Italian I can speak and my work rhythm. Working with the bees is always delightful, and I was surprised at how much I enjoyed working with local horticulture chores. 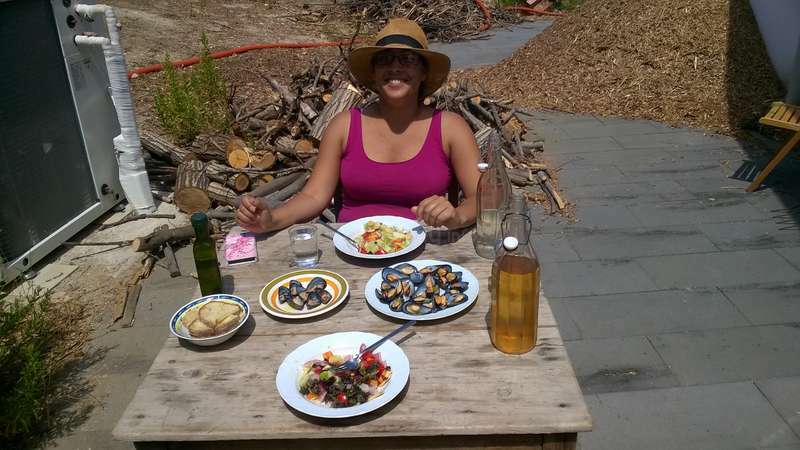 To top it… read more off, my Italian got much better, had many interesting conversations about politics and learned much on sustainable living in general. Highly recommend Luigi as a host to anyone who enjoys tradition, rural labour, good and simple cuisine and good conversation. È stata la mia prima esperienza col Workaway, e non avrei potuto chiedere di meglio. Ho imparato tanto da Luigi, che è stato molto paziente col mio pessimo italiano ed il mio ritmo lavorale. Lavorare con le api è sempre un piacere, ed ero sorpreso da quanto mi ha piaciuto il lavoro orticolturale. Ed infine, il mio italiano è diventato molto meglio, abbiamo parlato di tante cose interessanti nella politica ed ho imparato molto sulla vita sostenibile in generale. Raccomando Luigi come anfitrione a tutte persone a chi piacciono la tradizione, lavorare nella campagna, cucina buona e semplice e buona conversazione. Sadly I can't say anything new... this workaway experience is AMAZING ! It's my first time and I couldn't be more happy with it. 1. The place is stunning! Immersed in the green hills of Sardegna, peaceful and quiet, full of flowers, cactus and wild asparagus. 2. The host, Luigi is an intellectual with a great sense of humour and interesting… read more views and his better half, Maria Francesca is the sweetest person one could ever meet. 3. The bees are lovely, kind and wise creatures who will give you a lot of joy (and honey). Thank you so much from the bottom of my heart ! 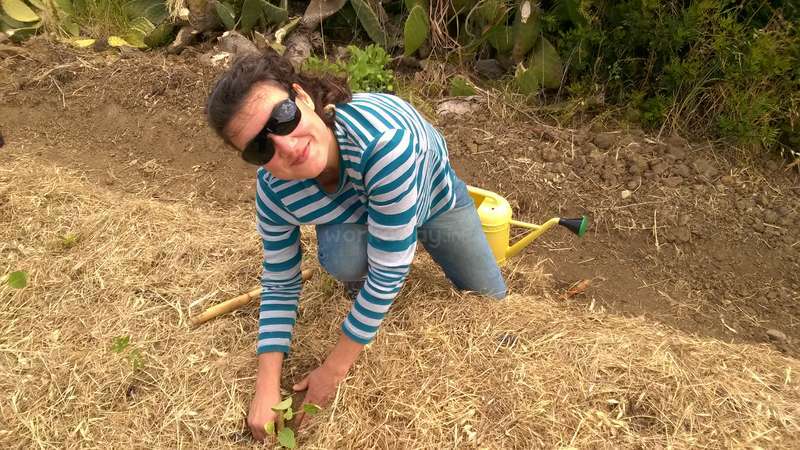 Donna was been a week in my farm and was a great interpreter of workway spirit. Great attention in work non only in beekeeping but also in all activities of my farm. The volunteering experience at Luigi's farm was interesting, and for sure an opportunity chance to learn more about lifestyle of bees, farm living, and of course Sardinian culture. I enjoyed the 8 days I spent on the farm. Luigi was very hospitable, he provided me with delicious tipical food, he asks if volunteers could wash up. Meals are very… read more healthy and Luigi is knowledgeable about nutrition. I slept in melaria and i had my own bathroom. My work involved planting a new vagetable organic garden, make the street better, divide hives, learn about the honey and tasting it! (that was very good) cleaning equipment/hives, melting wax etc. All the while, Luigi was talking me through the processes and giving me information about the bees. He likes speak about Sardinia life. I also take a part at very interesting meeting about the importance of water. The farm is isolated but a couple of minutes' walk from village called Ales. And it is fantastic. At night you can see the stars very brightly! Amazing. The entire experience was very good! Thanks Luigi! Oliwia incarna la volontaria ideale che qualsiasi host vorrebbe poter ospitare nella propria azienda. Una delicata sensibilità d’animo la spinge a profondere una tensione inesausta per tutto quanto succede nell’azienda. E si concretizza in una grande capacità lavorativa e in una esecuzione scrupolosa di qualsiasi lavoro. Il tutto svolto con… read more grazia, gentilezza, accortezza. Credo che l’ospitalità che ho voluto dare a Oliwia è più che meritata e sarei ben lieto di ospitarla di nuovo qui in mieleria. Raccomando fortemente questa volontaria a tutti gli host. 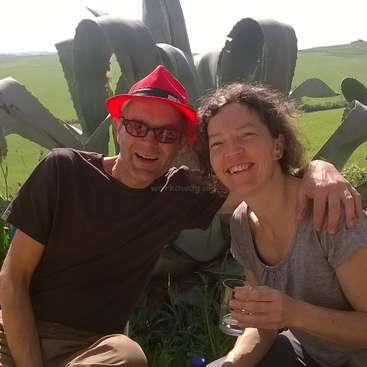 The volunteering experience at Luigi's farm was just an amazing adventure, great learning opportunity and unforgettable chance to get to know Sardegna, its beauty and culture and spend time with this wonderful man who Luigi is. 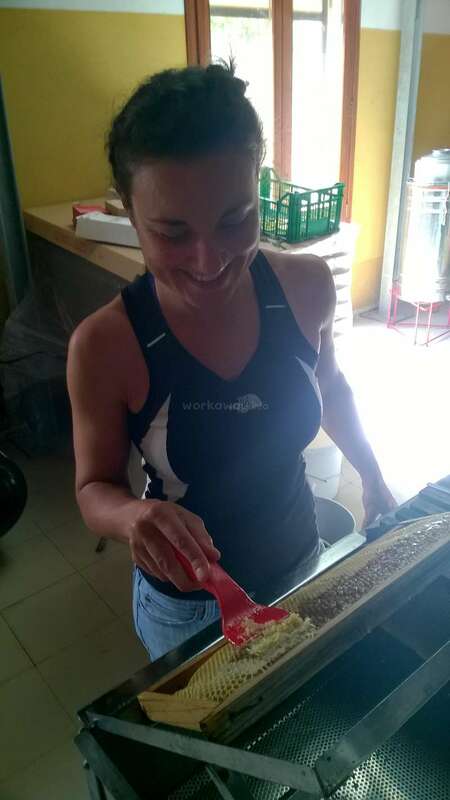 Not only have I learnt incredibly much about beekeeping, living on the farm, sustainable life but also about sardinian… read more culture, Italian language and completely different way of life than I live myself. I enjoyed every bit of the 14 days I spent on the farm. Luigi was very hospitable, picked me from the train station, provided me with delicious food, with great place to sleep, with access to organic vegetables and knowledge about beekeeping and farming. 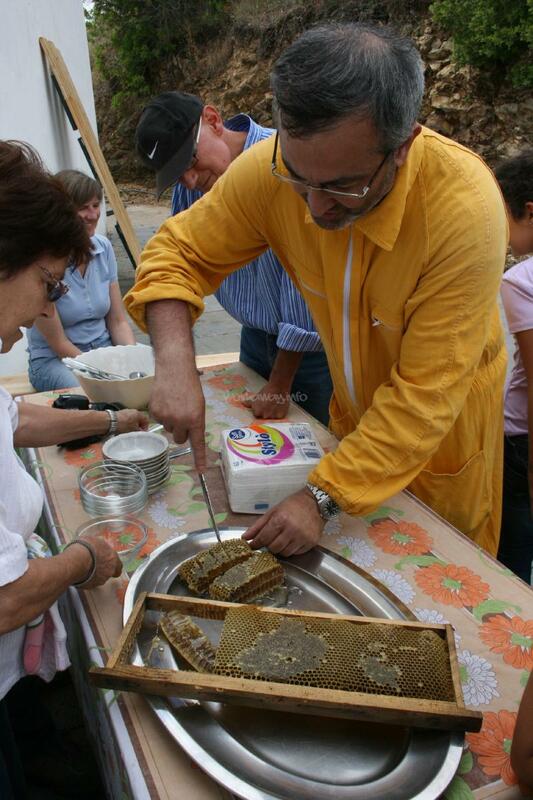 Luigi is a dedicated beekeeper living in a wonderful part of the world, a land still governed by tradition and respect for the Earth and all living things on it. Luigi gave me my first true introduction to beekeeping and I feel like much of what I learned from him will be applied to my own hives in the future. Even though I volunteered at a time… read more when there were less bee tasks to complete than later in the season, I was still able to help outside a lot and make sure the bees were properly protected against the evil varroa mite. Luigi believes in healthy eating as much as myself, which resulted in some pretty great meals while I was there, as well as some interesting cultural discussions over dinner, when I was awake enough to remember the little Italian I know. He also invited me over to his mother's place for a couple of family meals, and gave me a little tour of some surrounding towns and archaeological wonders in Sardegna (as did his sister). 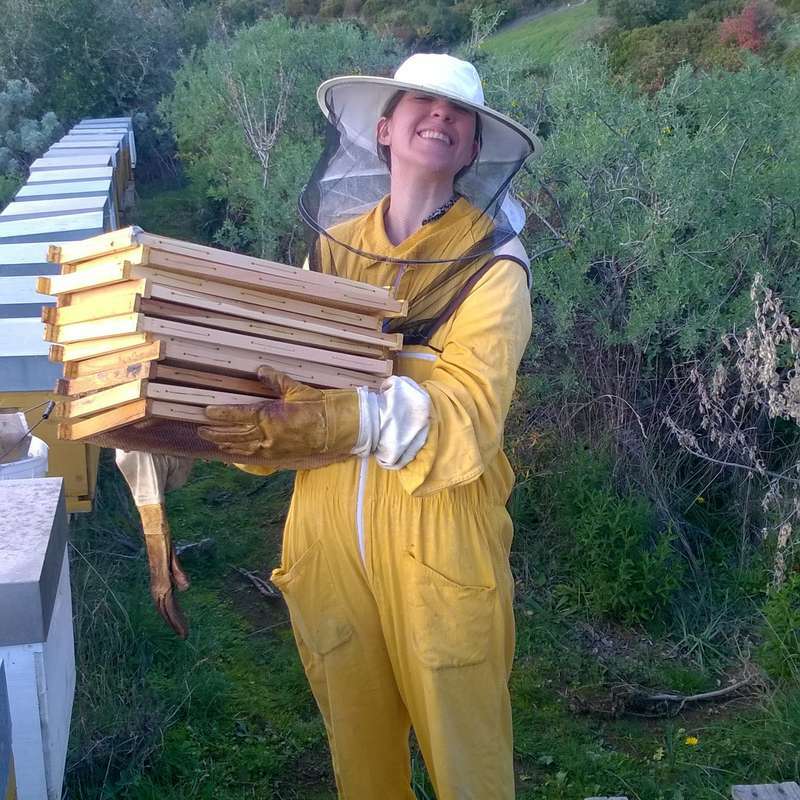 There were a couple of times when I was working alongside him that I felt he could be a bit more patient and supportive of a beginner, so this position may be ideally suited to volunteers with a bit more beekeeping experience than myself. The living conditions in the volunteer space were also a bit challenging while I was there, though this should only be a temporary problem that is going to be resolved. But all in all, I thoroughly enjoyed my weeks there. Una singolare temperanza di dedizione, disponibilità e curiosità: questa è la cifra umana di Beba. Tale rara commistione di virtù risponde per me al profilo ideale del volontario. La partecipazione di Beba alla vita della Mieleria, nelle sue diverse e articolate componenti, si è sempre svolta all’insegna di una risposta pronta e persino… read more entusiastica. Penso che per Beba l’unico rimpianto, per i vantaggi che avrebbe potuto trarre dal punto di vista squisitamente formativo o di semplice appagamento di conoscenza, è che il suo soggiorno sia durato una sola settimana. Rimpianto che ho anch’io, date le sue già ampiamente decantate qualità. 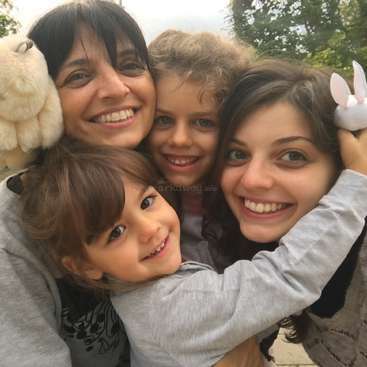 Ciò che ho cercato di trasmettere a Beba è che per me l’apicoltura è lo strumento di realizzazione di un ideale di vita o di una visione del mondo, dove identità, responsabilità e qualità sono gli elementi discriminanti. 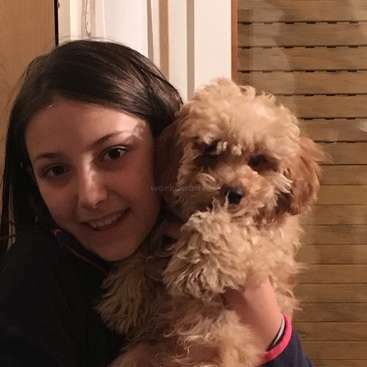 Son stato ben felice di aver condiviso questo mia visione con Beba, che ringrazio per tutto ciò che ha fatto. Luigi is a serious beekeeper with unique sense of humour and interests. At his place I spent one week in octobre, and during this relatively short period of time he explained me how to produce wax, protect bees against viruses, and the best part naturally was extracting honey, uncupping and tasting. (even though this time is not much to… read more do in beekeeping, but I have to say I really learned a lot). Luigi is knowledgable, hard working man, proud about the history of the island Sardinia, the area of Ales and his family history as well. I had joyfull and unforgettable time at his organic honey farm and I can recommend him for everyone interested in beekeeping, every day beautyfull natural landscape sight and great atmosphere. During my week at Luigi's farm, I was well looked after. I stayed in the month of August where there is perhaps a little less work with the bees themselves as they are 'lazy' at this time; my work involved jarring the honey (and tasting it! 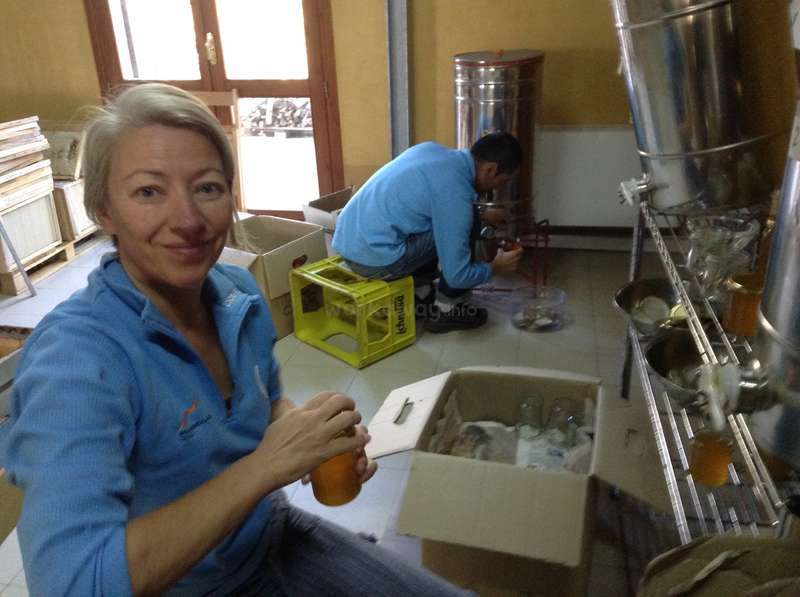 ), cleaning equipment/hives, pressing wax etc. All the while, Luigi was talking me through the processes and… read more giving me information about the bees. 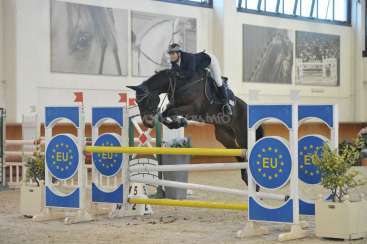 He speaks English very well but does prefer to speak Italian which is perfect for any normal person that likes to practise their languages. The farm is fairly isolated but a couple of minutes' walk from a sweet, romantic village named Ales. After my week of work (which wasn't terribly taxing), Luigi took me to the nearest beach on the weekend which was just over an hour's drive away. Luigi provides you with your own space, bathroom and has wifi. He likes to cook the meals and asks if volunteers could wash up. Meals are very healthy and Luigi is knowledgeable about nutrition so the working holiday works as a health-kick too! The experience might be best suited to someone who doesn't mind their own company, wanting some peaceful time away in a lush landscape whilst acquiring new knowledge and skills. Margaret ha svolto con dedizione e volontà tutte le attività previste in Mieleria. Ha anche partecipato ad alcuni eventi culturali locali e alla vita sociale del paese. Una migliore conoscenza dell'italiano avrebbe reso il suo soggiorno ancora migliore. Alma si è dimostrata una volontaria ideale: interessata in ogni aspetto dell'attività apistica, senza alcuna preclusione. Gli ho suggerito di venire in primavera; il periodo più formativo in apicoltura. I stay at Luigi place for 14 days and he gave me professional insight in beehives, how to protect them from Varoa parazit, introduction of bee colony, fix the hive etc.